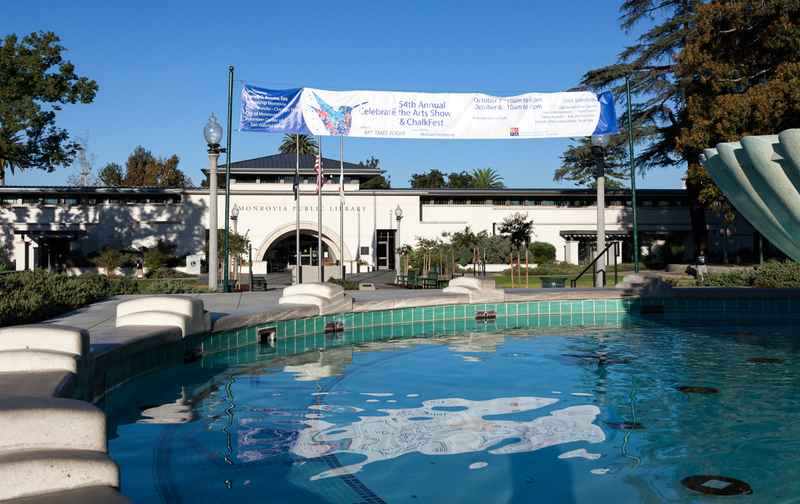 The 54th annual "Celebrate The Arts" show is this weekend at Monrovia Library Park in the heart of downtown (Old Town) Monrovia on Myrtle Avenue. The event is from 10am to 6pm on Saturday, October 7th and 10am to 4pm on Sunday, October 8th. This weekend, Library Park above will be full of activity. The festivities this year, in addition to the incredible art for sale, include: live entertainment, food trucks, beer garden, chalkfest, silent auction, kids activities, hay rides, and a Friends of the Monrovia Library book sale. Something for everyone! The weather should be perfect!